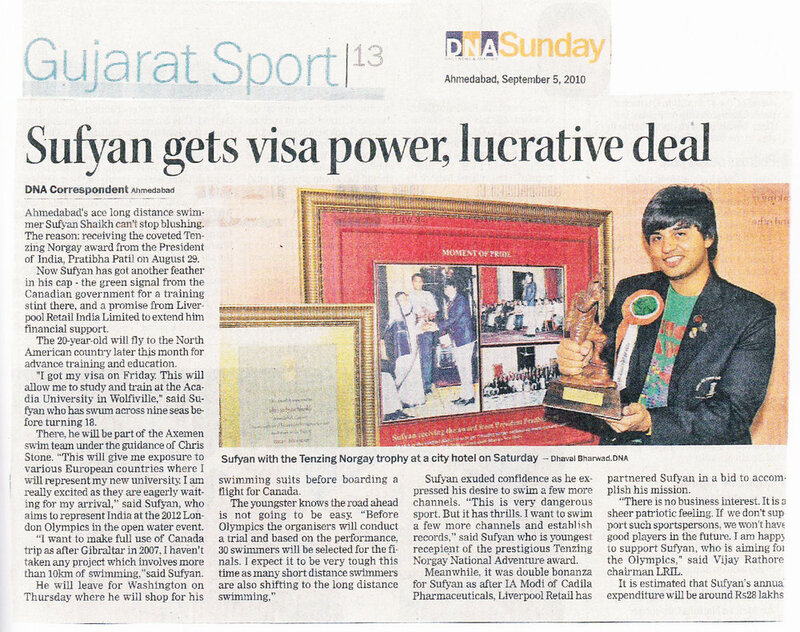 Sufyan was awarded the Tenzing Norgay National Adventure Award in 2010, by The President of India, for being the only individual in the world to swim in 10 different seas. 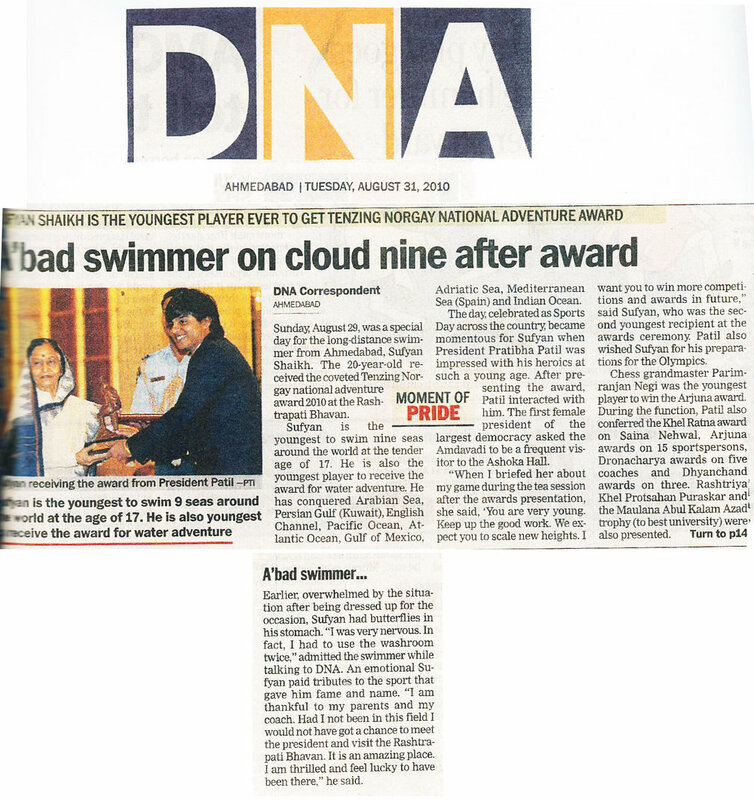 The award is conferred to one individual out of a population of 1.2 billion people who has done exceptionally well in the field of water adventure. 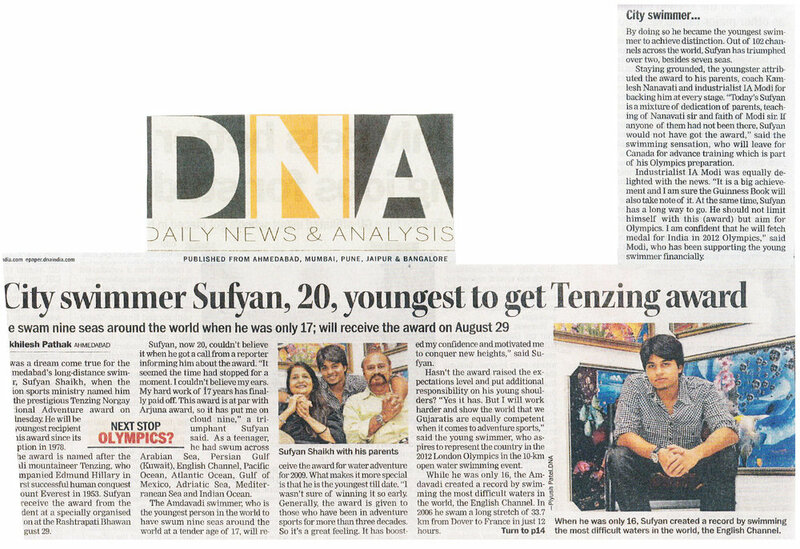 Sufyan received this award when he was 20 years old. To learn more, read the articles mentioned below.